While your first priority will often be the interests of your business, it is important that startup owners do not ignore the needs of their shareholders. Conflicts can arise between company owners and shareholders, and such conflict has even caused a mass exodus of the board of one high-profile food startup. According to the New York Times, Hampton Creek managers began an effort to amend corporate bylaws in June 2017. The effort – which would have given more control to investors – was unsuccessful, and four of the five board members resigned in July 2017. Only the founder remained on the Board of Directors. This case illustrates the importance of balancing the interests of everyone involved in the company through a well-written set of Bylaws that will guide a company through its key business decisions. Even when it appears that there is a conflict, there is often a creative alternative solution that can be found in a well-crafted and clearly written set of bylaws. 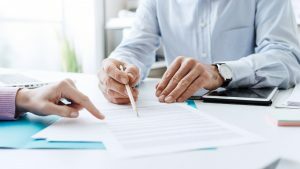 Designing a policy – and drafting such a policy for your formal written bylaws – is a complicated process which often requires the services of a skilled corporate attorney. This, is an investment that can avoid costly litigation and time-consuming disputes. Business owners who choose to draft corporate bylaws themselves may leave both their business and personal assets exposed to liability. The experienced attorneys at Structure Law Group, LLP will help you build a profitable business from the ground up. Schedule a consultation today by calling (408) 441-7500, emailing slgadmin@structurelaw.com, or submitting a request through our online contact form.